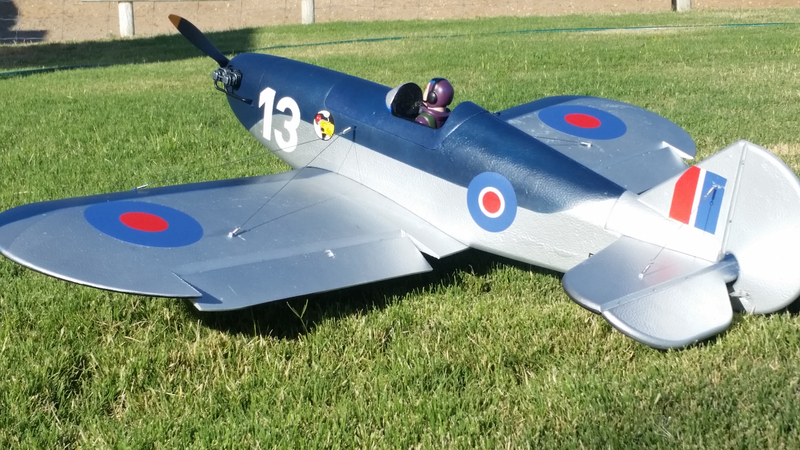 Durafly will have a new plane to add to its fantastic lineup of popular RC planes. The name SlowPoke is a classic name within the RC community. Being around for many years in different forms the SlowPoke design has been reinvigorated. Durafly has put a retro twist on this RC classic. Made from EPO foam and is a plug and fly model out of the box with all electronics pre-installed. 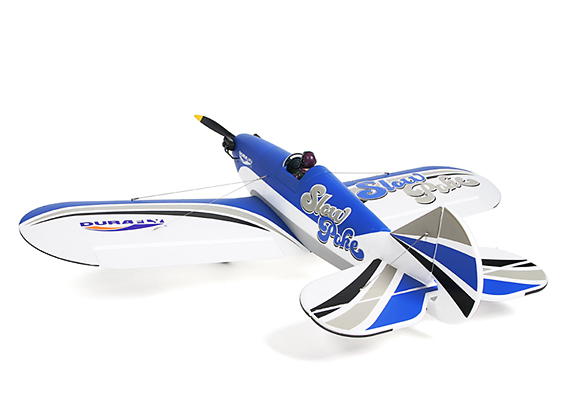 Our SlowPoke is a great flying plane with the classic SlowPoke lines but with retro features like the 100mm wheels, dummy motor, rigging wire, pilot and "old school" RC fun. The Durafly SlowPoke 1200mm will be available very soon from all warehouses. When Will we be able to buy spare parts for this? Lost some wiring. I have done a slight modification to my Slow Poke. I found that on landing, especially on concrete, the model bounced around a lot. I have now bent the Landing Gear/Undercarriage further forward and widened the track by spreading the struts outward and then canting the wheels so they lean inwards. Used a vice to do it. Lands and taxies a lot better now. I need to replace the prop adapter, anyone know of spares? Nope, it fits the Navy Cub but not the Slow Poke. Would like to say thanks for a beautifully packed slow poke from the HK shop. Very pleased with it, just need to get on with building it.